Do you need Instant Approve Social Bookmark Links? Also Need DOFOLLOW Links? Here is the BEST SERVICE for YOU. This is 100% DOFOLLOW Social Bookmark SERVICE. Someone send you profile links and someone give you nofollow links those are no value in Online Marketing. We are here give you 20 dofollow (100% guarantee) Social Bookmark links that really help you to get rank. If any links not dofollow please knock me I will refund you full amount. -20 backlinks from 20 domains. Remember! This is DOFOLLOW Link Building Service. I will not provide you any No-follow Links. What I need to start an order. 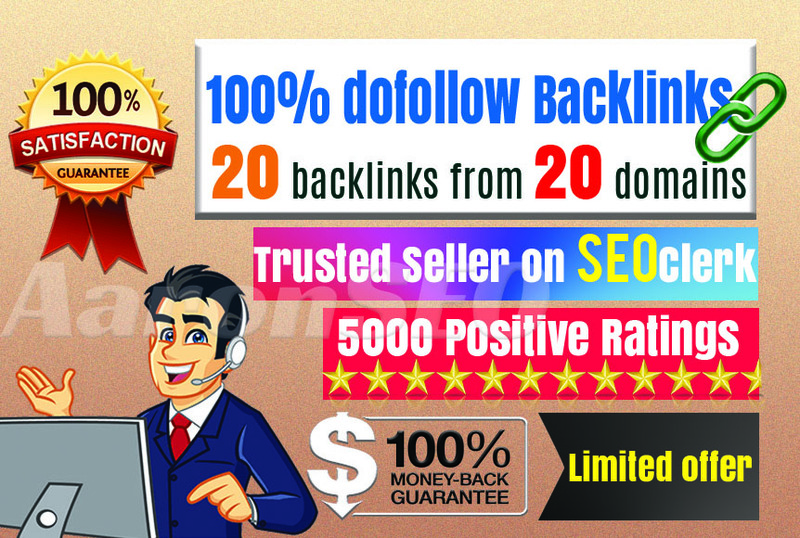 DOFOLLOW SOCIAL BOOKMARK- INSTANT APPROVE- MONEY BACK GUARANTEE is ranked 4 out of 5. Based on 7 user reviews.